Plasma Nutrition has joined a list of companies including AstraZeneca, Eli Lilly, Janssen and Merck, all of whom have partnered with the New Brunswick Health Research Foundation, an independent organization with a focus on health research in New Brunswick, Canada. The purpose of the cooperation is to promote academic research and provide additional scientific foundation for the startup’s Ingredient Optimization technology. Plasma Nutrition developed a patent pending technology – called Ingredient Optimization™ – that changes the structure of proteins and increases their bio-efficacy. Currently, their products are targeted at the supplements sector with ioWhey™, whose value in the US economy was $121.6 billion in 2016, according to a report funded by the Council for Responsible Nutrition (CRN). At the same time, government agencies and consumers are demanding more transparency regarding the benefits of dietary and sports supplements on the market. This new partnership will allow Plasma Nutrition to meet those expectations by having easier access to research-based feedback from the scientific community. Plasma Nutrition is a New York-based tech start-up founded in 2015 with the mission to unlock the full potential of the food that we eat and improve health outcomes. Plasma Nutrition’s patent pending protein processing technology, called Ingredient Optimization™, includes a specifically-designed hardware platform, an innovative food transformation process, and custom-designed quality control. 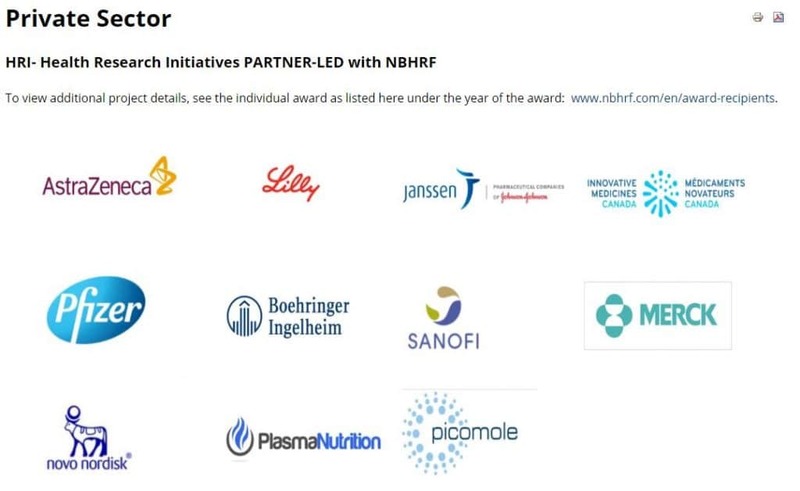 NBHRF (www.nbhrf.com / @NBHRF) is an independent organization governed by a board of directors comprised of key stakeholders from the health research community in New Brunswick. Provincial funding is provided by the Regional Development Corporation – Total Development Fund, the Department of Health – Medical Research Fund (MRF) and the Department of Social Development – Wellness Research Fund (WRF) for NBHRF health research programs (HRP). The foundation’s mission is to provide leadership and support building health research capacity, improve the health of New Brunswickers and advance the knowledge economy.